Schuyler Colfax’s home no longer exists in South Bend so the only site associated with him is his grave, located in the City Cemetery. His father died four months before Colfax was born in 1823. His mother remarried and the family moved to New Carlisle, Indiana in 1836. He started working at the age of ten and by the time he was sixteen, Colfax was submitting articles about Indiana politics to the New York Tribune. He also wrote for the Indiana State Journal and edited the South Bend Free Press, which he later purchased and renamed the St. Joseph Valley Register. 1863, his wife of almost twenty years died, leaving him the time to socialize with some of his newspaper friends in Washington, DC. The press loved that one of their fellow journalist had succeeded to such political prominence and gave him more than his share of attention. By 1868, Colfax’s popularity had grown and he was asked to be Ulysses S. Grant’s running mate. The duo won the election and the new Vice President celebrated by getting married a second time soon after. He was the first Speaker of the House to be elected Vice President. 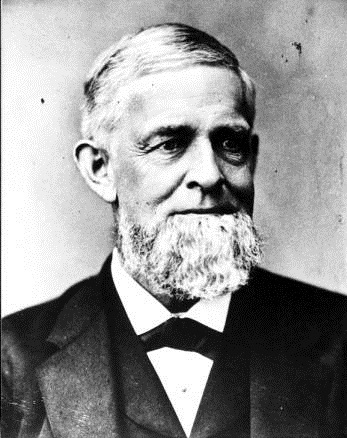 In 1870, Schuyler Colfax III was born and this new domesticity interfered with Colfax’s social life. Many of his reporter friends felt that they were being dismissed now that he was the Vice President and did not take kindly to such treatment. They stopped featuring him so prominently in the press. Also in 1870, Colfax announced that he was going to retire and did not want to be re-elected for another term. Although he changed his mind by 1872, it proved to be too late. He lost the nomination to Henry Wilson. To add insult to injury, an effort to impeach him materialized just before he was to conclude his role as Vice President as his role in the Credit Mobilier scandal had become known. The resolution to impeach him failed and he was able to serve the last few weeks as Vice President, albeit with a severely tarnished reputation. Upon leaving Washington, DC at age 49, Colfax returned to South Bend where he began a successful lecturing career. A common topic was his relationship with Abraham Lincoln during the Civil War. Colfax never returned to political life. He died at a Minnesota train station from a heart attack in 1885. He was buried in the city cemetery in South Bend. Indiana Division of Historic Preservation and Archaeology, “Schuyler Colfax Grave,” Discover Indiana, accessed April 25, 2019, https://publichistory.iupui.edu/items/show/226.